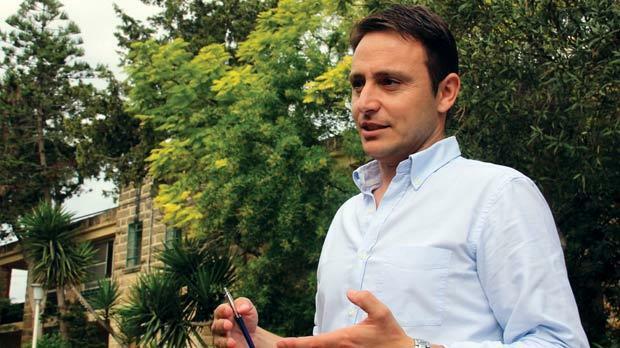 Young, enthusiastic and with a clear vision of where he wants to take the NGO, newly appointed Caritas Malta executive director Leonid McKay tells Kim Dalli why Caritas does not distinguish between cannabis and heroin, that the State should top up non-contributory benefits and why tax evasion is one of Malta’s biggest scourges. Leonid McKay had spent six years working full-time with Caritas, focusing on research in the social sphere, and was in his second year of lecturing at Mcast when he received a telephone call asking him to consider taking the helm at the organisation. It was not an easy decision to take, the 33-year-old admits. He asked for a number of weeks to mull it over and to consult with his wife, with whom he has a two-year-old son. For years, Caritas has been instrumental in helping drug users kick the habit, rehabilitate themselves and become useful members of society. When he took the helm on October 1, Caritas had a solid structure in place and had taken a clear position against the government’s proposal of decriminalising cannabis, a stand which he fully upholds. “We do not distinguish between cannabis and heroin,” he says firmly. “Although soft drugs might not have the same effects as hard drugs, they act as a gateway to other drugs. The use of drugs, including cannabis, should remain a criminal act. The emphasis, he adds, should instead be on depenalisation, meaning that drugs should remain illegal but the drug user should be guided down the path of rehabilitation through a care plan and group therapy. “If the person is not cooperating, then yes, we believe that he should be taken before the magisterial court. However the focus should always remain on the person. He stresses the need of a drug court to help avoid the excessive delays in doling out a sentence. There are cases, he continues, where a person would have completed rehabilitation, only to be given a jail sentence which puts him at risk of once again coming into contact with drug users. Prevention and aftercare need more investment – the White Paper did not hone in enough on the importance of avoiding relapses. Mr McKay is also in the process of updating Caritas’s services. Apart from installing new IT systems, the shelter for male drug abusers who are being weaned off drugs will be moved to a different building within the San Blas premises, while the female shelter currently operating in Birkirkara will be transferred to San Blas and the old premises converted into re-entry and aftercare services. However, as director, the biggest change Mr McKay cites is his plan to alter the general mentality that Caritas merely equals drugs. “I want to give greater visibility to the Foundation for Victims of Usury – there are no other services in Malta tackling usury. The foundation aims to find a compromise between the usurer and the person who borrows. Advocacy is also something he would like strengthen. “I want to set up a think tank comprising people who work with Caritas as well as academics to reflect on the policies being implemented by the State. I want Caritas to be stronger in its messages and this can be achieved through research. What are the pressing issues facing Maltese society? There is a dearth of data on social conditions, especially when it comes to social welfare beneficiaries and people at risk of poverty, Mr McKay says. From a study he conducted in the name of the Anti-Poverty Forum, non-contributory benefits are effective tools and should be strengthened. However, they are not enough for certain families to keep up with expenses, especially who rent their homes and those plagued by health problems, he adds. “Many insist the welfare state should be dismantled because it brings about dependency. I believe that social benefits aren’t the problem – it’s the benefit trap. Education is key, Mr McKay believes. A few years ago, Caritas had undertaken a community outreach project, which was not an easy task because professionals are often met with resistance. Welfare beneficiaries generally cluster around localities with a high availability of rented property. Social benefits, he continues, are financed from people’s taxes. Tax evasions are an attack on their sustainability. “Last week I attended a seminar where an official from the Department of Social Security said that some two per cent of social benefits were being scrounged. “But although it’s significant, tax evasion is much higher. It’s good to speak about welfare fraud but one must also speak of tax evasion. There are so many millions generated through underground activity. Economic growth, Mr McKay continues, is not an immediate guarantee in the struggle against material deprivation. The government must intervene to ensure that the results of economic growth reach low income earners, as the free market does not automatically assure this. Essential items such as food, transport, education and medicine should be affordable. “The government is heading in the right direction with free child care and child supplements for low income earners but you still have families who are slipping through this safety net.